'2562 follows up his groundbreaking debut album 'Aerial', and pushes both his creative talents, and the boundaries of dubstep, to another level entirely. 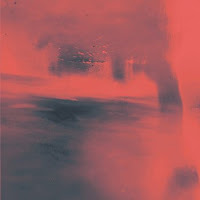 'Unbalance' is an exceptional body of electronic music, and fully demonstrates 2562's adept ability to move through engaging soundscapes with both pin-point precision drum programming and innovative sample regeneration. 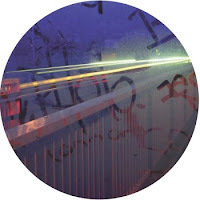 2562, real name Dave Huismans, is named after the postcode in The Hague, Netherlands where he lives, a city detached from the main epicentres of dubstep, and thus brings both cultural distance and a uniquely diverse sound to the project. 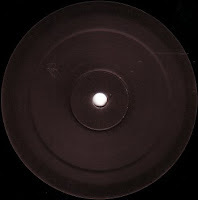 During the course of a brief but faultless discography, he's dropped four killer twelve inches for Tectonic, as well as 'Aerial' - one of the defining albums of 2008 - not to mention a similar number of singles under his A Made Up Sound guise, and, in the process, has blown wide open a number of scenes, allowing a welcome and long overdue cross pollination within DJ set lists. 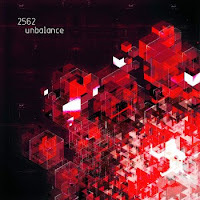 'Unbalance' sees 2562's vision of dubstep moving forward into previously unexplored areas. Warmer than its predecessor, innovation and experimentation is still as evident as ever, as the influence of Theo Parrish and Flying Lotus meet with the deep end of Bristol bass music. With productions drawing inspiration from garage, dubstep, house, techno and broken beats - affiliations and collaborations have proliferated - killer remixes and one-offs have cemented the Dutchman firmly in the 'A' list of contemporary production talent. 'Unbalance' is impeccably built, and accessibly disposed: sheer dancefloor carnage is guaranteed. Tectonic label boss Pinch says: "I've worked closely with 2562 over the last few years and I can honestly say that 'Unbalance' is an incredible album - it's one of the most exciting releases that Tectonic has seen to date - it vastly exceeds the already high standard he set himself with 'Aerial'." With this new LP for Tectonic, 2562 breaks new ground - in moving away from the dub-techno associations of his earlier works, he creates a whole new world. 'Big tings from Joe Kowton, sometimes known as Narcossist ....this new Keysound plate epitomises the sheer vibrant energy emanating from this label right now, as funKeysounds have materialised - insurgent and resurgent moments, Blackdown has been on the case since day. 'Stasis' and 'Countryman'. both Transition specials, land at a level which is guaranteed many many spins. 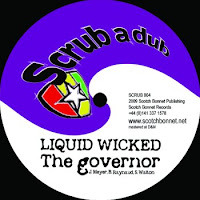 Hype twelve for the autumn, believe - and with all due deference to dons El-B / Gurley / Edwards - this is big beeline dub garage made for party - call it whatyalike, big with Ben UFO, Oneman, Brackles and Shortstuff .. Running on a deep 33 cut, throwing a dummy punch of motive dubbed keys, nearly in stasis like the title, topped with a crackling vocal but what an abandoned freeing swing and full funked bounce there is to this tune as it lands - massive - i for one personally can't wait to hear mixes into related stuff : Hyph Mango, Hyperdubs - the low end simply ((( k-i-l-l-e-r ))) mids are crisped and ripped, like the wires of the machine itself are frying under the sheer heat running off this deepest tune, the vocal stabs luxuriant and urgent simultaneously, a chorded dub basement vibe stays very much in the shade, all melded to the full frequency range garage subs - the bass unlocked on this plate is out of control and will take centre stage at peak times.